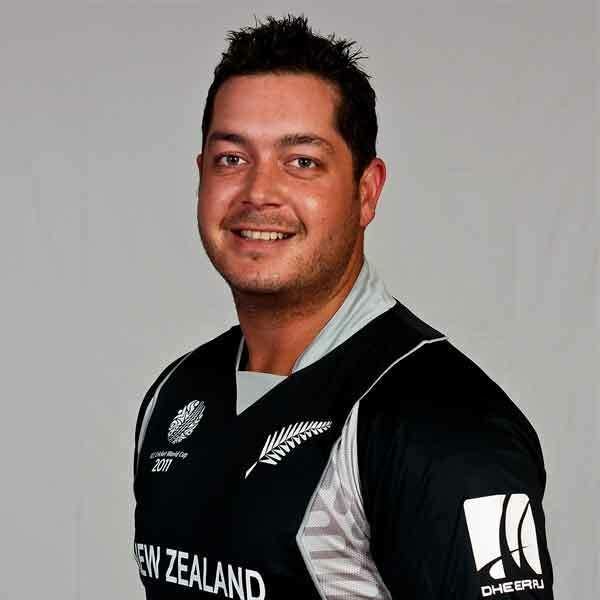 Jesse Daniel Ryder (born 6 August 1984) is a New Zealand cricketer. He is a middle-order batsman for Tests and is an opening batsman in ODIs. Ryder also bowls useful medium-pace. He has previously represented his country in the Under-19 Cricket World Cup of 2002. Ryder played his domestic cricket with Wellington after crossing there from Central Districts in 2004 and is a member of their first-class and List A teams. On 30 January 2008, Ryder was chosen in the 12-man Twenty20 squad and the 13-man ODI squad to play England. New Zealand Cricket Selection Manager, Richard Hadlee said "Jesse has the potential to provide an explosive start alongside Brendon McCullum at the top of the innings in both forms of the game." Ex-cricketer Adam Parore subsequently hit out at the selectors decision to pick Ryder, claiming that he is "too fat" and "in no fit state to play for New Zealand." Ryders 2007/08 season ended on 24 February 2008 when he badly cut his hand trying to break into a toilet at a Christchurch bar at 5:30am the day after NZ had won the one day series against England. It was later revealed that Ryder had been drinking until 1:30am the night before the fifth ODI against England (Ryder scored 24) and had been rude to staff at Christchurch hospital, demanding preferential treatment when he was being treated for his hand injury. On 8 March 2012, Ryder decided to take an indefinite break from international cricket following injury concerns and a prolonged history of disciplinary issues. In December 2012 despite good form, scoring 162 from 174 balls against Central Districts on 11 December, Ryder said he was still not ready to return to international cricket. Ryder returned to international cricket when he was called up to the ODI squad to face West Indies. On 1 January 2014, Ryder and Corey Anderson at the Queenstown Events Centre broke some records: Anderson broke Shahid Afridis 17 year old record of the fastest ODI hundred by one ball, scoring his in 36 balls; he eventually ended with an unbeaten 131 that featured 14 sixes and 6 fours. Along with Ryder, they helped New Zealand set the team record for the most sixes in an ODI innings. Ryder scored the sixth fastest century with 104 in 46 balls with 5 sixes.